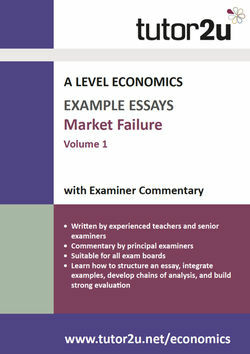 This printed booklet contains example essays for Market Failure topics typically taught in the first year of A Level Economics, written to a full A Level Economics standard. Each essay comes with a commentary from a senior examiner. Competition is not working and has failed to deliver a fair price for consumers - so said a government select committee recently. MPs have said that the planned cap on energy bills should be introduced urgently. To what extent do you agree with this recommendation? Christine Lagarde, Managing Director of the IMF, has described climate change as a "collective endeavour". Using your economic and real world knowledge discuss this claim. More and more plastic waste is ending up in the sea. There are claims that the ecosystems of the oceans are being ruined. In 2016, more than a million plastic bottles were sold per minute. Evaluate possible policies to combat this threat. Fake news was named 2017's word of the year and has led to calls for the regulation of social media. The internet is generally thought of as improving the efficiency of markets. Discuss the extent to which this increasingly may not be the case. In 2017, a conference was held to celebrate National Statistics Day entitled "The Value of Official Statistics as a Public Good". Evaluate the case that official economic statistics are public goods. "Every government intervention creates unintended consequences, which lead to calls for further government interventions" — Ludwig von Mises. Should governments intervene in markets? "Healthcare is almost always an imperfect market. This isn't a judgement on the quality of care provided, rather an academic reflection of the nature of its supply and demand" — www.nhsconfed.org. To what extent do market failures provide a rationale for continued provision of healthcare through the NHS in the UK? "The poor are no less rational than anyone else- quite the contrary. Precisely because they have so little, we often find them putting much careful thought into their choices: they have to be sophisticated economists to survive." — Abhijit V Banerjee. To what extent is poverty due to market failure? In the economics of Welfare, British economist Arthur Pigou suggested in 1920 that governments tax polluters an amount equivalent to the cost of the harm to others. Does taxation still represent the best solution to such externalities? 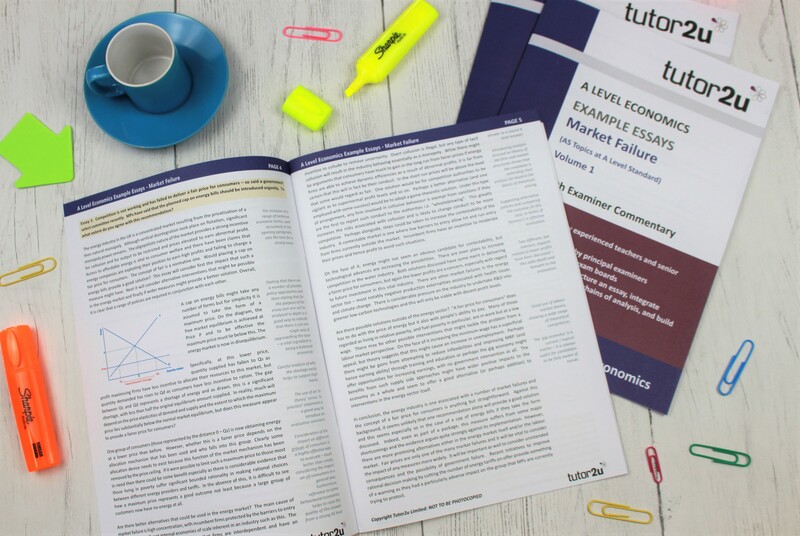 Join 1000s of fellow Economics teachers and students all getting the tutor2u Economics team's latest resources and support delivered fresh in their inbox every morning. 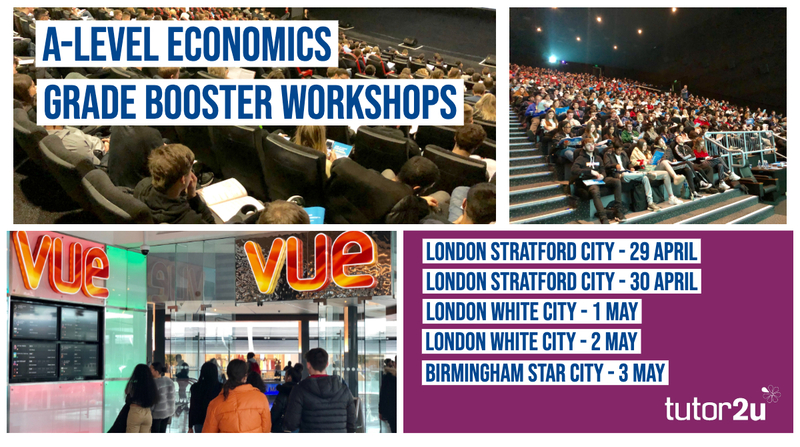 You can also follow @tutor2uEconomics on Twitter, subscribe to our YouTube channel, or join our popular Facebook Groups. Should the UK rail industry be nationalised? What is the most convenient way to provide the public loo? Are Britain's clean car goals sufficiently ambitious? 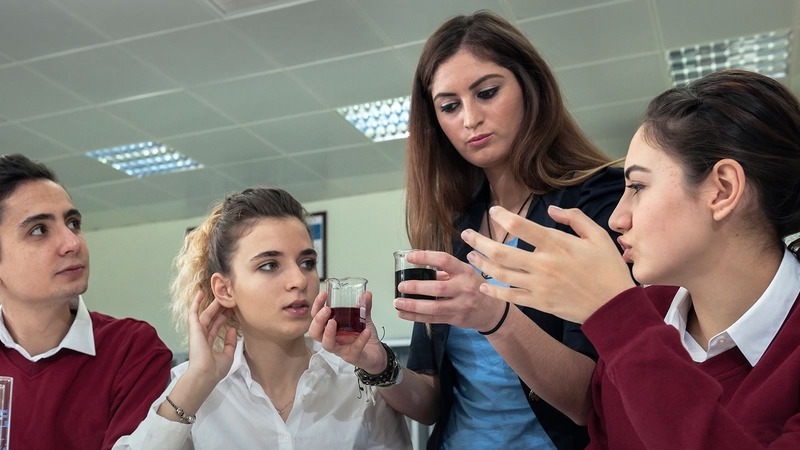 The Apprenticeship Levy - A Case of Government Failure?